Catalyst Corporate Finance has made a number of promotions, including the appointment of two new partners. 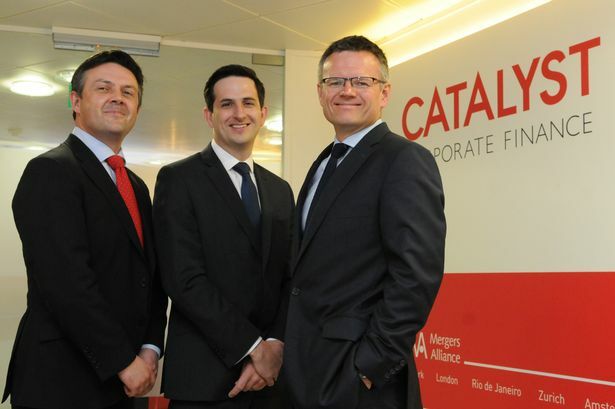 Among them is promotion to the partnership of Jeremy Harrison, based in Catalyst’s Birmingham office. Mr Harrison has played a role in some of the firm’s key deals. “I am delighted to be joining the partnership team at Catalyst and helping to build on our success in the West Midlands,” said Mr Harrison. Catalyst has also promoted Justin Crowther to partner, to add to its strength in the East Midlands and the healthcare sector, and promoted Ali Robertson and Tom Cowap to principal. Partner Richard Sanders said: “I am delighted to announce these promotions, which are a great demonstration of the quality of our home grown people. “They also represent our commitment to an ongoing investment in, and development of, our West Midlands business. “We have enjoyed an excellent start to 2015, completing 10 deals worth over £700 million. “Given the significant liquidity in private equity and debt markets, together with cash-rich overseas buyers, business owners and managers have a broader range of options than at any time in recent memory”.